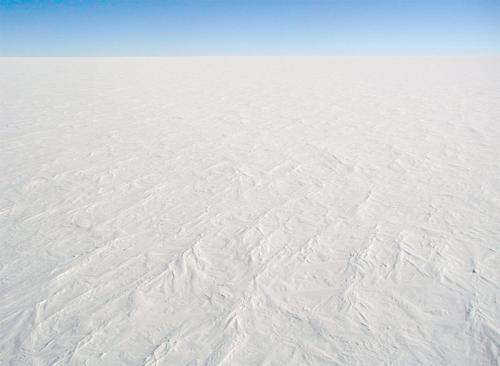 Scientists at Yale University and the University of Southampton say the ongoing Arctic ice loss can play an active role in altering one of the planet's largest water circulation systems: the Atlantic Meridional Overturning Circulation (AMOC). AMOC has a lower limb of dense, cold water that flows south from the north Atlantic, and an upper limb of warm, salty water that flows north from the south Atlantic as part of the Gulf Stream. AMOC plays a major role in regional and global climate, affecting the Atlantic rim countries—particularly those in Europe—and far beyond. It was featured in the movie "The Day After Tomorrow." "Conventional thinking has been that if ocean circulation weakens, reducing the transport of heat from low to high latitudes, then it should lead to sea ice growth. But we have found another, overlooked, mechanism by which sea ice actively affects AMOC on multi-decadal time scales," said professor Alexey Fedorov, climate scientist at the Yale Department of Geology and Geophysics and co-author of a study detailing the findings in the journal Nature Climate Change. The first author of the paper is Florian Sévellec, a former Yale postdoctoral researcher in Fedorov's lab who is now an associate professor at the University of Southampton. Wei Liu, a Yale postdoctoral associate, is another co-author of the study. "We've now found this new connection between sea ice and AMOC," Liu said. "Sea ice loss is clearly important among the mechanisms that could potentially contribute to AMOC collapse." The researchers based their findings on a combination of comprehensive climate model simulations and novel computations of the sensitivity of ocean circulation to fluctuations in temperature and salinity at the ocean's surface over time. "In our experiments we saw a potential loss of 30% to 50% of AMOC's strength due to Arctic sea ice loss. That is a significant amount, and it would accelerate the collapse of AMOC if it were to occur," Fedorov said. "We suggest that Arctic changes on a multi-decadal timescale, such as the decline in sea ice cover that we are currently experiencing, is the most efficient way to weaken the large-scale ocean circulation of the North Atlantic, which is responsible for the oceanic transport of heat from the equator to high latitudes," Sévellec said. The question is, once the arctic melts, what kind of currents do we get. And the answer appears to be, different than now. Since this apparently affects the Gulf Stream we can expect major climate changes on both coasts of the North Atlantic and well inland as well. Even ignoring simulations, it's unreasonable to expect the AMOC and GS not to interact since they are spatially associated. And so we see a connection between the GS and Arctic sea ice cover. Since the sea ice is changing, we can expect the GS to as well. We can say that with quite high assurance now, I'd say. What exactly will those climate changes be? We don't know. That's why they're doing the simulations.